Peter Kuijt at hebban.nl gets the scoop. The international Ranald MacDonald Prize will be awarded annually to the work of a debut writer or artist which is exceptionally ‘true, good and beautiful’ and sheds new light on the relations between Asia, Europe and North America. 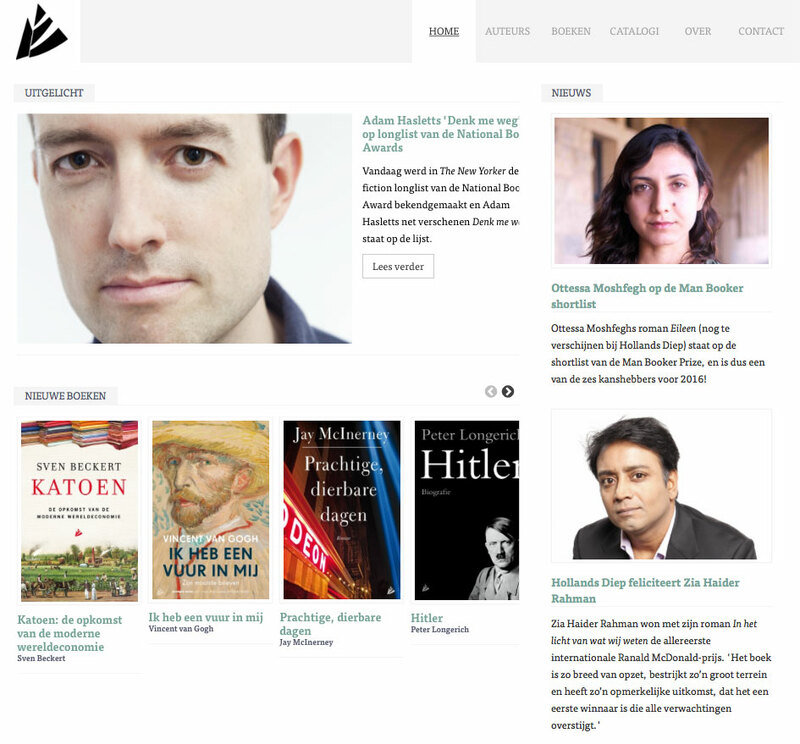 The novel In het licht van wat wij weten / In the light of what we know (Hollands Diep, Amsterdam, 2015) by Zia Haider Rahman fits this description precisely. Indeed, this book is so comprehensive, so wide ranging and has, eventually, such a remarkable outcome, that the first winner exceeded all expectations. Its quality will be the touchstone for any future award. The prize amounts to 5000 euro and the ceremony will be held this October 11. 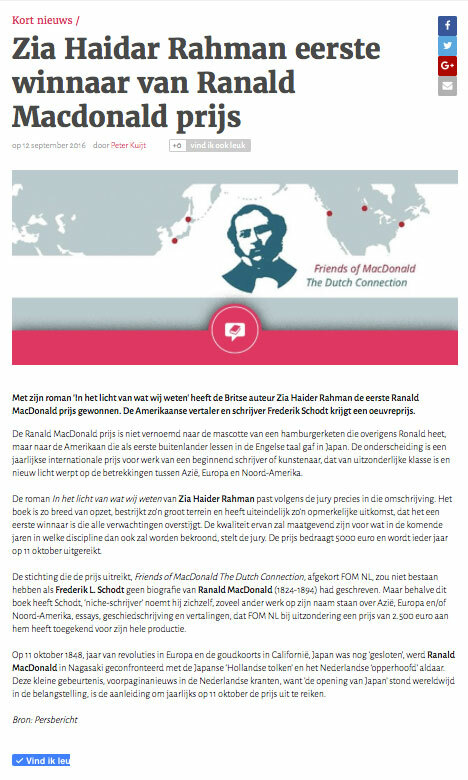 The Cultural Public Benefit Organization awarding the prize, Friends of MacDonald • The Dutch Connection, abbreviated as FOM NL, would not have existed if Frederik L. Schodt had not written a biography of Ranald MacDonald (1824-1894). In his Native American in the Land of the Shogun: Ranald MacDonald and the Opening of Japan (Stone Bridge Press, Albany CA, 2003) he brings to life a ‘true cultural and racial hybrid—in the best sense of the word— (who) assumes heroic proportions because of his success in carving his own path in life, in an often unfriendly world’, in short, an example to follow. 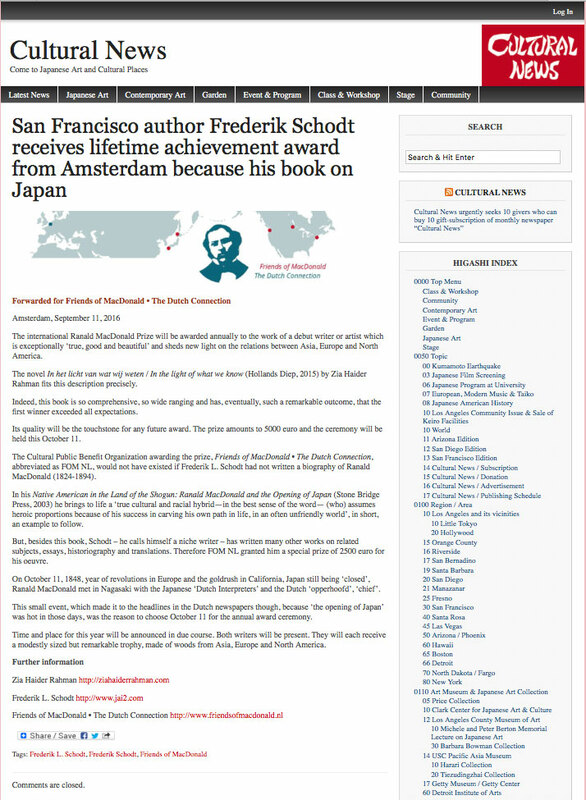 But, besides this book, Schodt – he calls himself a niche writer – has written many other works on related subjects, essays, historiography and translations. Therefore FOM NL granted him a special prize of 2500 euro for his oeuvre. On October 11, 1848, year of revolutions in Europe and the goldrush in California, Japan still being ‘closed’, Ranald MacDonald met in Nagasaki with the Japanese ‘Dutch Interpreters’ and the Dutch ‘opperhoofd’, ‘chief’. This small event, which made it to the headlines in the Dutch newspapers though, because ‘the opening of Japan’ was hot in those days, was the reason to choose October 11 for the annual award ceremony. Time and place for this year will be announced in due course. Both writers will be present. They will each receive a modestly sized but remarkable trophy, made of woods from Asia, Europe and North America.